Today I have the fantastic Karen Mahoney on the blog to answer my invasive questions about MothTales, the WebComic series which connects to her new novel Falling to Ash (review here). This interview is a major geek out about comics (in an awesome way naturally) and I want to just say thank you to Karen to answering these for me!! 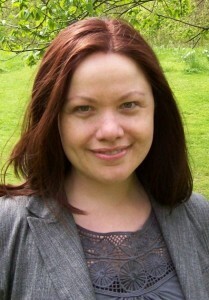 You can find more info about Karen on her website and follow her on twitter. 1) Your new novel Falling to Ash, is being accompanied by a webcomic series called MothTales, how did that idea come about? (First of all, thanks for the awesome – it’s nice to be asked lots of different things!) Okay, so the webcomic is something I’ve wanted to do for a while, I just needed an ‘excuse’. I love comics and have always loved them, ever since I read my first issue of Wonder Woman when I was seven years old. Hmm… now I feel old. 2) How closely does the webcomic series follow the story of Falling to Ash, is it a comic of the events in the book or is it a prequel/companion to it? We are going to be working on 8-episode arcs with a short gap before we do the next 8, and I would call it more of a companion piece. Having said that, the first ‘chapter’ has turned out to be more of a prequel – but only because it’s set before the events of the novel. I didn’t really intend to write a prequel that would set up the novel, I just didn’t want to include anything too spoilery in the webcomic. The next 8 episodes will be a companion piece set during current continuity. I’m writing the scripts at the moment. 3) Did you work on the art yourself? If not did you get to give your input to the artist and how much collaboration has there been between you and the artist to ensure that the characters look how you expected them to etc? Ha! No, I can’t draw at all. 🙂 I’m so lucky to have found an artist who is perfect for the look I wanted – and who really ‘gets’ Moth. The wonderful artist is an American called Candace Ellis, and I first saw her work in a huge anthology of women creators’ comics called ‘Womanthology’. I knew she’d be a good fit and we’d talked on Twitter a bit, so I spoke to her about the webcomic. I’m so glad I hired her! To begin with, Candace asked for character descriptions for anyone major that would be appearing in the webcomic. 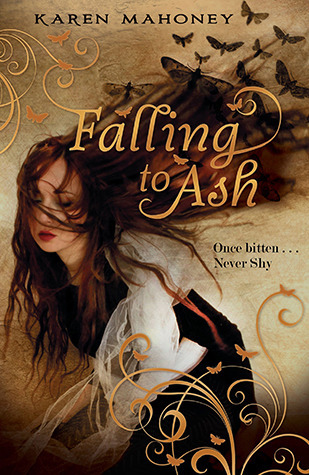 I also sent her the manuscript for Falling to Ash (don’t tell my editor!) early, hoping it would get her into the ‘feel’ of things. Candace read it twice and loved it, and you can see she really does understand Moth. I write the scripts in what is called ‘full script’ mode. This means I don’t just write dialogue, I’m effectively the cinematographer and director too. I write a description of each panel, including relevant art references (e.g. the episode where Moth first goes to Theo’s street, I included links to photographs that would give Candace an idea of the sort of place he lived – and she drew it beautifully!). I also talk about facial expression if that’s important for the way the character is delivering their dialogue. 4) How different did you find it working on the comic compared to working on a novel, if at all, and in what ways? “In this panel, we can only see the side of Moth’s face. Her head is bowed. In the distance we should just be able to make out the…” etc. My favourite thing about writing books, though, is the dialogue – so that makes me a perfect fit for comics. Dialogue is very important! 5) I understand that you are a huge fan of comics yourself, do you have a favourite comic and artist? 6) Did the story idea for Falling to Ash generate from any of your favourite comic books or novels? No, I wouldn’t say it did – except for the idea of a strong female character. A heroine who is both flawed and vulnerable, but who is also heroic and tries hard to do the right thing. Someone who wants to help the weak, because she was once weak herself. That’s quite a superhero-y sort of thing, I suppose. My mum always says Moth reminds her of a superhero, too! If I was directly inspired by anything, I’d say I was probably thinking of Buffy the Vampire Slayer and the very simple idea: What if Buffy was a vampire? 7) Finally, If you could see any other YA book become a comic book, what would it be? Oooh… great question! I’ve really liked some of the comic book/graphic novel adaptations of YA books. I thought the Vampire Academy one was particularly good. But if I was allowed to pick a YA novel that hasn’t been adapted into the medium, I’d probably go with Daniel Waters’ Generation Dead series. I think they’d work really well. Thanks again for the brilliant questions. I could talk about comics all day! What a GREAT interview! Honestly, I’m so fascinated by this. I find it really intriguing to have a webcomic series coincide with a novel. I don’t know much about comics, but I love the suggestions, I shall definitely be looking some of those up. Also, loving the artwork shown.